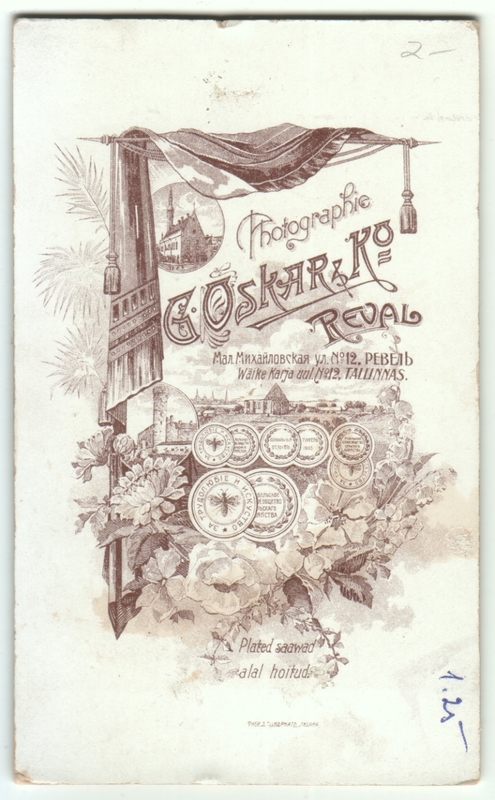 Photographer is G. Oskar & Company of Reval (now Tallinn), Estonia. 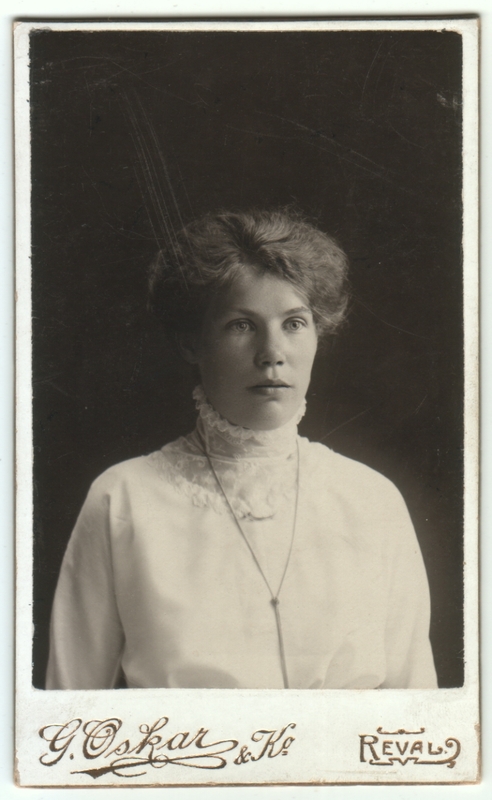 Otherwise undated and unidentified. All of my vintage photos have been from the US and it has been a pleasure to view your collection as it has given me a much broader picture of how much the subject of photography had influenced the world. This young lady is beautiful, not quite sure about her hair style but she has very nice features, otherwise. I agree it’s very interesting to compare and contrast US photos with photos from other places, particularly photos from back before mass communication tended to result in a blending of styles and cultures worldwide.